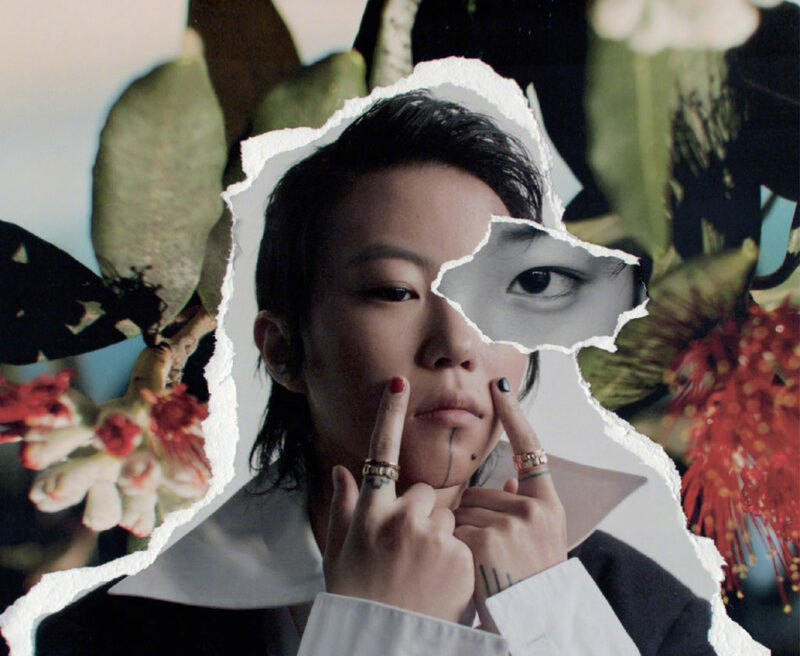 The Chinese Pulse | What is the new buzz word on social medias for Chinese youngsters? 02 Feb What is the new buzz word on social medias for Chinese youngsters? 佛系 ‘fo xi’ y “Buddha-like” recently became the new buzz word for the post-90s youngsters on Chinese social medias. This new trendy word express keeping a casual and calm mindset towards life and career. It first came out from an article published on WeChat on 11th December with the title “The first group of the post-90s generation that has become monks”. The article was such a success that the expression”Buddha-like youngsters” has quickly gone viral on Chinese social media. “The phrase properly describes the mentalities and lifestyles of some of the post-90s generation in China, who have become less ambitious and more relax towards life due to the great pressure and fierce competition in today’s China,” one Sina Weibo user commented. This word is now used frequently by Chinese ‘Generation Zen’ millennials to describe their daily life and attitude through social media and it is infiltrating into all aspects of life. Leah Dou is a top KOL in China that incarnates the “Buddha-like” spirit. The slow life and easy going mindset is reflected in all aspect of her career and life. Under her strong personal appearance, her inner world is very calm and peace. She recently shaved her head bald and joked saying she is a “Buddha-like” girl. Magazine Grazia invited her for the new cover with the key word “Buddha-like cool girl”. When shopping on Taobao, buddha-like youngsters are more patient and willing to accept eventual problems in order to not disturb the customer service. After buying things that they found unsuitable the ” Buddha like” usually won’t return the products. They never give negative comments on the product after purchasing. The key point for the “Buddha-like makeup” is to simplify it as much as possible. Post 90s will pursuit true, fresh and natural philosophy. Naked foundation, multi-functional make-up using only one product for the blush, eye shadow, bronzer and highlighter or only wearing lipstick are the new essentials. 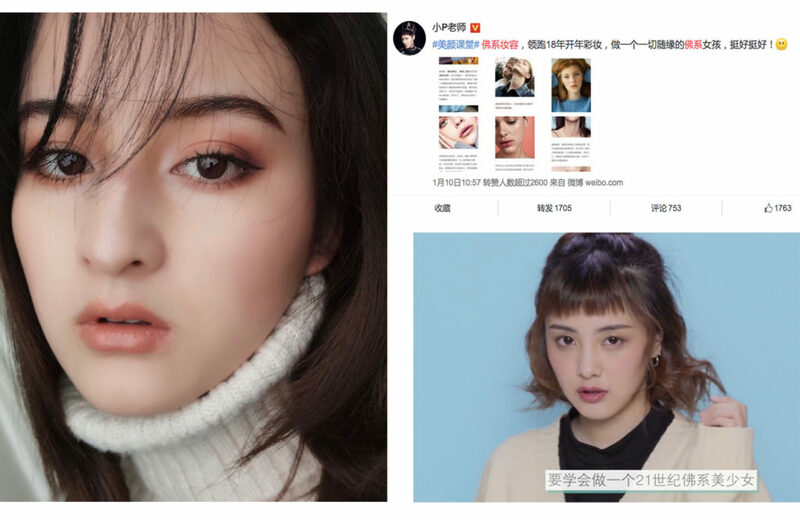 Perry, the top beauty KOL in China made a tutorial for the “Buddha-like makeup”. 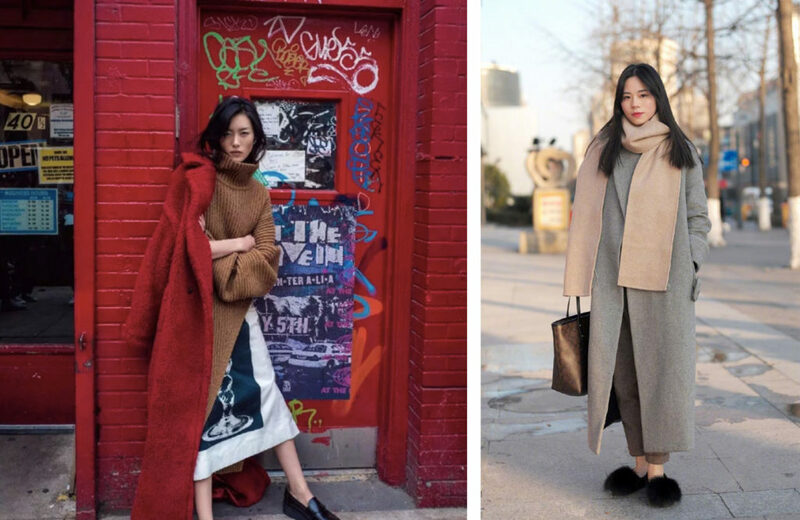 Buddha-like fashion trend in winter emphasizes on the priority to keep warm and comfortable. They no longer pursue a variety of fancy mix and match and product combinations, but are casually deciding what to wear the same day just before leaving home. 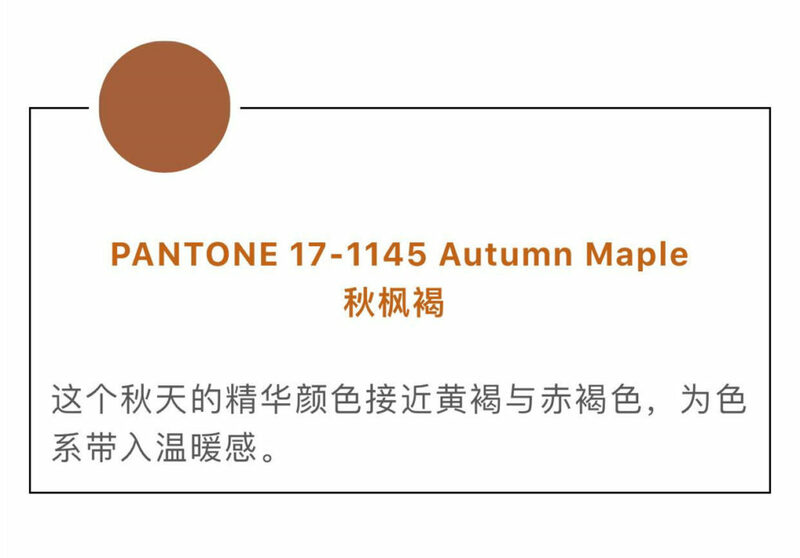 The trendy color for this winter is autumn maple brown. It is very close to auburn, and slightly different with daily khaki. The color is more warm, giving a cosy feeling but also easier to wear.